Previously, we’ve written about the histories of Wisconsin’s many waterways and lakes. Now that boating season is back, we bring you a look at the monsters that may (but probably don’t) live in said waters. A century ago, you couldn’t turn a newspaper page without seeing a hair-raising account of people swearing to have barely escaped a lake (or river) monster. It's hardly surprising that Wisconsin – given our massive amount of water features – has been home to such legends. Much of the reporting on these monsters is from historical sources, and with the sincerity some of the eyewitness accounts hold, you almost can’t help but believe them. But of course we know better now. Right? Many of these entries come from Chad Lewis’s Hidden Headlines of Wisconsin, a collection of incredible stories from old Wisconsin newspapers. Here are some of my favorite legends of Sconnie lake monsters from old Wisconsin headlines. Remember to pack a harpoon and a shotgun next time you go canoeing. Red Cedar Lake – In 1892, The New North reported that Red Cedar Lake was “...again agitated by a monster who has lain dormant through the cold months.” Again. Several witnesses saw a mud turtle disappear within a “capacious mouth.” Five sheep were noted to be lost to the serpent. The tone of the piece makes it sound less like a call for harpoon-wielding rioters and more like a routine nuisance. Although it hasn't been sighted for over 50 years, the Lake Mendota monster is legendary among UW students. In the 1890s, the Lake Mendota monster was all the rage. The New North and The Racine Daily Journal both reported on the monster as an established figure. Accounts describe the creature as between 25 and 30 feet long with a head ten inches wide, a tail studded with horns. The Wisconsin State Journal reported sightings of the creature as late as the 1940s, after which it was given the nickname “Bozho” after an Ojibwe folk hero; Winnebozho. La Crosse – La Crosse is apparently home to a centuries old serpent. The La Crosse Daily Press reported that there had been a sighting of the creature in 1901, and that had been the first in a while since the poisonous serpent had been seen by the early pioneers and settlers of La Crosse. This time it had been seen by picnickers, curled around a rotting log on the beach. Upon being noticed, it hissed and made a sound like “escaping steam” before slithering into the river, causing the water to foam on its exit. “The campers did not hesitate long to seek another place for lunching.” You don’t say. Racine – The Racine Journal told a riveting story in 1900 about a sea monster that a team of construction workers barely avoided doing battle with. Eyewitness accounts say that it had moved into shallow waters and was churning the water so much that it threatened to topple their wagon and spook their horses. 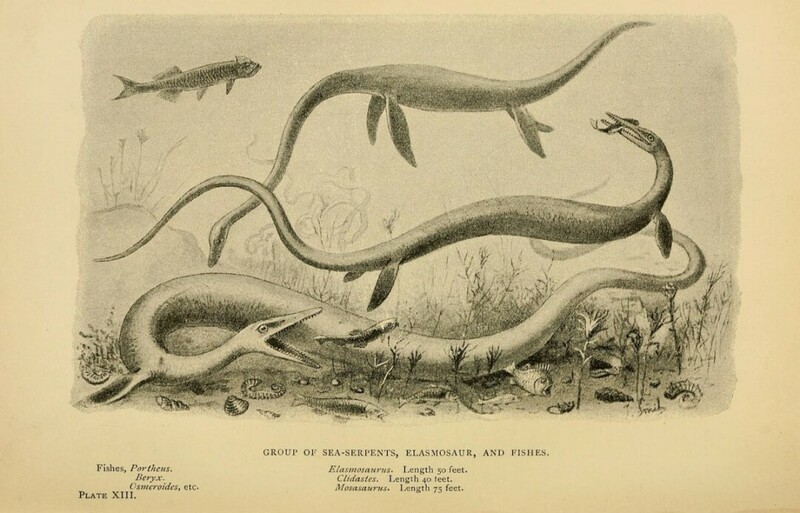 The men described the creature as being of fearful strength and possibly thirty feet long. This one gave me the willies. The hunt for "Pepie" has been going on for hundreds of years. Think you can find her? Okay you amateur cryptozoologists, the gauntlet has been thrown down. There's a $50,000 reward for finding conclusive evidence of the monster of Lake Pepin, or "Pepie." The subject of countless books, research endeavors and diving expeditions, "Pepie" become infamous for centuries. The earliest sighting of a serpent in the area was in the late 17th century by Father Louis Hennepin, one of the first European explorers. Paranormal investigator Chad Lewis has always claimed to have a 50-50 stance about the existence of a legend, but according to the Star Tribune, he is leaning closer to 75-25 in favor when it comes to Pepie. It's always a big fish. Until it isn't. 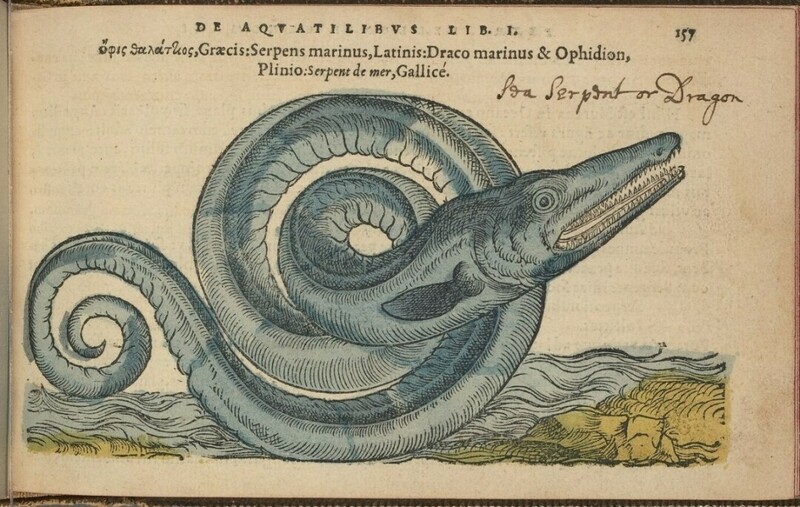 Back when serpents were legitimate nautical hazards and had their own taxonomies. Perhaps one of the more mysterious lake monster legends in Wisconsin is that of the monster of Rock Lake. The bottom of Rock Lake is home to the ruins of an ancient city, believed to be an outpost of the Aztalan tribe and possibly a necropolis. Fishermen in the late 19th century claim to have been accosted by a serpent-like creature, who has since been named "Rocky". Kids, If you go near submerged ancient burial grounds, giant sea serpents will get you. 'Tis a fact. Come on, citizens of Neenah. Don’t be a clam. Go get your nets and harpoons and hunt that serpent!